Patricia A. McKnight's newly released novel titled "My Justice" is being called a call-to-arms against domestic violence as much as it is being viewed as a blue-print for individuals caught in a cycle of abuse to learn how to free themselves from abuse. 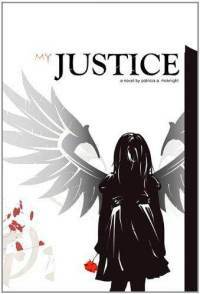 "My Justice" is available in paperback as well as in e-book on Amazon, Barnes & Noble, and wherever else books are sold. Patricia A. McKnight is pleased to announce the publication of her highly acclaimed inspirational novel "My Justice" that has been called a call-to-arms against domestic abuse as well as a road-map for freedom for those imprisoned by the cycles of abuse. In this heralded and incredible new novel, “My Justice”, the talented author, Patricia A. McKnight, will sweep you away in the madness of abuse and domestic violence. In 'My Justice', Ms. McKnight takes her readers into a journey to find the happiness once ripped away due to severe domestic abuse, as the author's story of courage and bravery to break the chains of abuse hope to empower other individuals caught in the world of abuse to become free. Critics and readers have stated that Ms. McKnight has written an outstanding and highly inspirational novel that gives each reader a map of awareness and escape from the silence that traps so many of its victims. The main character of this novel, “Trecia Ann”, is sharing the voice of the little girl who could never speak out of the neglect and horror that filled her world. She became so engulfed in the household of cruelty that it created a path that she would travel for over thirty years. This true survival story will take you on an exploration of mind and soul. You will walk through life in the eye’s of a young girl. Readers will experience the fears, dreams, wishes and darkest fears of a child. You will hear her cries, feel her rage and be overcome by her years of sadness; in the end to be lifted by her triumphant happiness. This novel will have you on the edge of your seat from start to finish. You will be taken on a ride that will reach the depths of your moral fortitude, which most leave untouched. “Trecia Ann” will have you crying and screaming, demanding justice for all. After all, this is only the story of one, of many, of the abused. Many reviews have been received on this new novel and the deepest of those are from people of this child’s past who speak out about the girl who was lost in the cracks of blindness. One such person was her fourth grade teacher, who is now retired but still involved in up and coming teachers.